© 2016. In the courtyard at the bottom of the famous Jiufen stairs. Monday, Sept. 5, 2016. 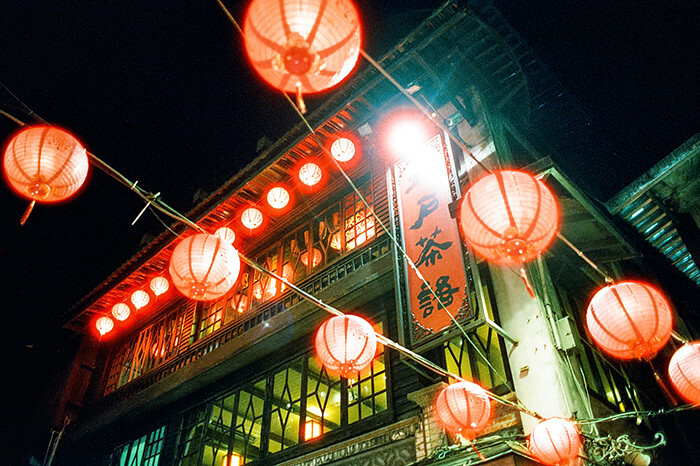 CineStill 800T +2, Canon EOS A2. © 2016. 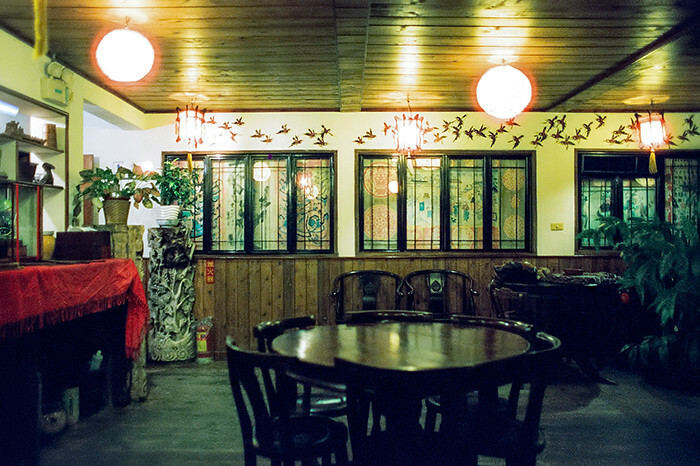 Inside the upper tea room of Yu Zai Fan Shu Tea Stall (九份芋頭蕃薯) in Jiufen. Monday, Sept. 5, 2016. CineStill 800T +2, Canon EOS A2. © 2016. 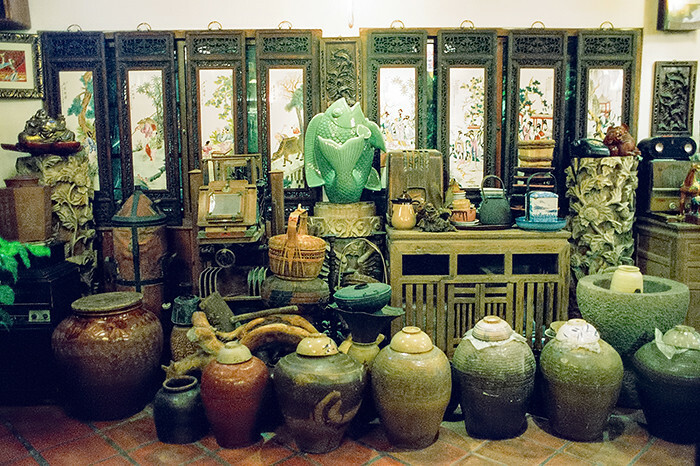 A collection of pottery, teapots and other items at Yu Zai Fan Shu Tea Stall (九份芋頭蕃薯) in Jiufen. Monday, Sept. 5, 2016. CineStill 800T +2, Canon EOS A2. © 2016. 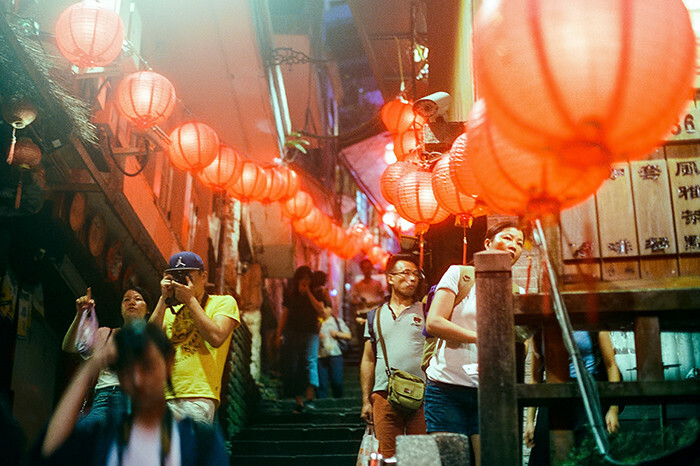 Looking up the famous Jiufen steps. Monday, Sept. 5, 2016. CineStill 800T +2, Canon EOS A2. © 2016. 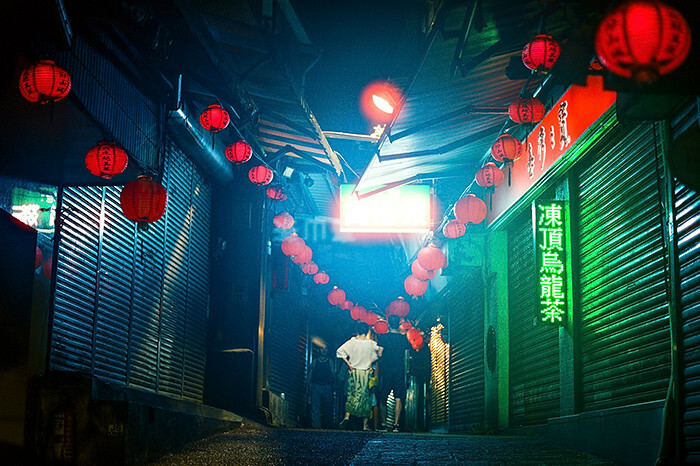 Jiufen Old Street, after the vendors closed for the night. Monday, Sept. 5, 2016. CineStill 800T +2, Canon EOS A2.